Basement Ranch- 4 Car Garage-(3 BR/4.5 Baths)/Private Wooded/Cul-De-Sac Lot – Only 3 years old! Upstairs finished bonus features walk out attic storage, mini kitchen, wired for media room with private full bath.Basement is roughed in for full bath and lots of optional square footage/storage. 3 main level bedrooms each with private full baths. Oversized laundry room with drop-in utility sink access from split bedroom hallway and master closet. Huge kitchen island, mudroom and large pantry. Don’t miss the gas fireplace on the covered patio with large sliding door. Fire pit off basement covered patio. Main level living, storage galore, room to grow and entertaining is Oh so easy with this open floor plan. Move-In Ready! Irrigation, Retractable Screened-In Porch and plumbed for central vac. Please, send me more information on this property: MLS# 1070481 – $694,900 – 2135 River Sound Drive, Knoxville, TN 37922. 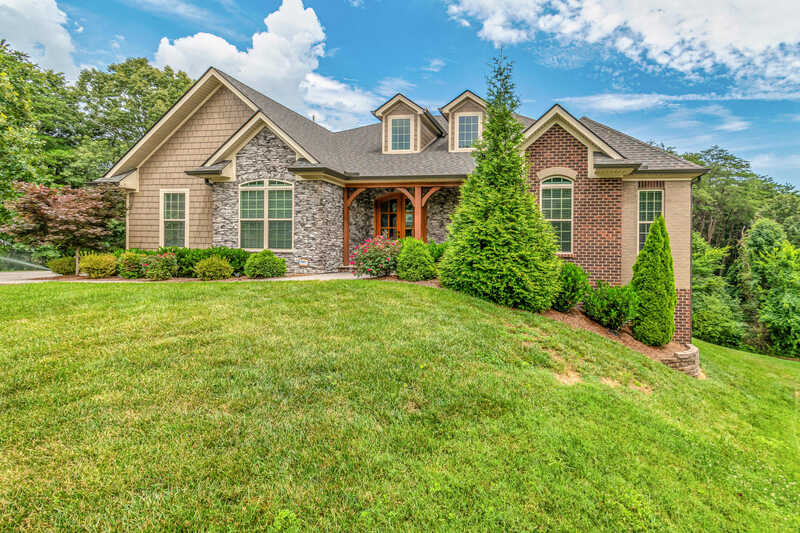 I would like to schedule a private showing for this property: MLS# 1070481 – $694,900 – 2135 River Sound Drive, Knoxville, TN 37922.